Touching the Nature of Our Being. From a young age my obsession has been to wake up. I had no idea what it meant to wake up and yet something stirred inside me upon reading the work of the mystics. Something inside knew that I was sleepwalking my way through life. The worldly achievements passed like sailing ships and had no meaning for me. I managed to ride the wave of life and knew there was something missing. Something inside was yearning to know the mysterious power latent within. This body of ours is something like an electric battery in which a mysterious power latently lies. When this power is not properly brought into operation, it either grows mouldy and withers away or is warped and expresses itself abnormally. When the cloud of ignorance disappears… we see for the first time into the nature of our own being. 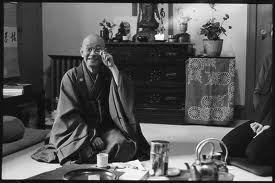 This possibility of seeing the nature of my own being, as Suzuki suggests, was overwhelming for me. Only recently have I managed to glimpse at this mysterious power within. It feels like plugging into a human charger and at the same time losing all sense of what I thought I was. The reason I choose to write about this now is because I want every human being to taste this latent power. If these are the last words I ever write and they send one person within, then it has been worthwhile. You see, part of me always doubted the mystics. Part of me believed that we are confined to a life of suffering. Because that was all I knew. My latent power had grown mouldy and was withering away. The other good news is that there is no need to run away to the Himalayas to experience this latent power. This life was often calling me and somehow my worldly connections grounded my being here. If the nature of our being could not be known within the world, then it couldn’t be our true nature. The moment of insight for me was created through connection, relation in combination with this deep curiosity to know. Somehow, during a weekend with Circling Europe, this latent power became more apparent. It was a sudden feeling, as though connecting to an electricity grid and can only be expressed as joy. I hadn’t known joy before this point in my life. My life of 42 years. But when our hearts expand, these same things don’t make us suffer anymore. We have a lot of understanding and compassion and can embrace others. We accept others as they are, and then they have a chance to transform. Through this deep connection with another being, my life had changed in a single moment. This combination of deep connection and curiosity opened a door within. My heart had expanded and this allowed for transformation in other beings. The cloud of ignorance had disappeared for a moment and this opening of the soul was known. Even writing about this latent stirs something in me. If there is a flicker in your being to know, follow it. Is there an itch inside, knowing that there is something more? Have you achieved a great deal in the world and still feel this itch? No Worldly achievement can extinguish this flicker. Follow the flicker and your suffering will dissolve. Cultivate this desire to know. Connect deeply with people who are on the path and this subtle inner feeling will grow. As Suzuki says, the body is something like an electric battery. Experience fully in your body now. Wake up and you will come to know who you really are…….